Miss Molly and the pack are so excited to be a part of the 20th Birthday celebration of Entenmann’s Little Bites! 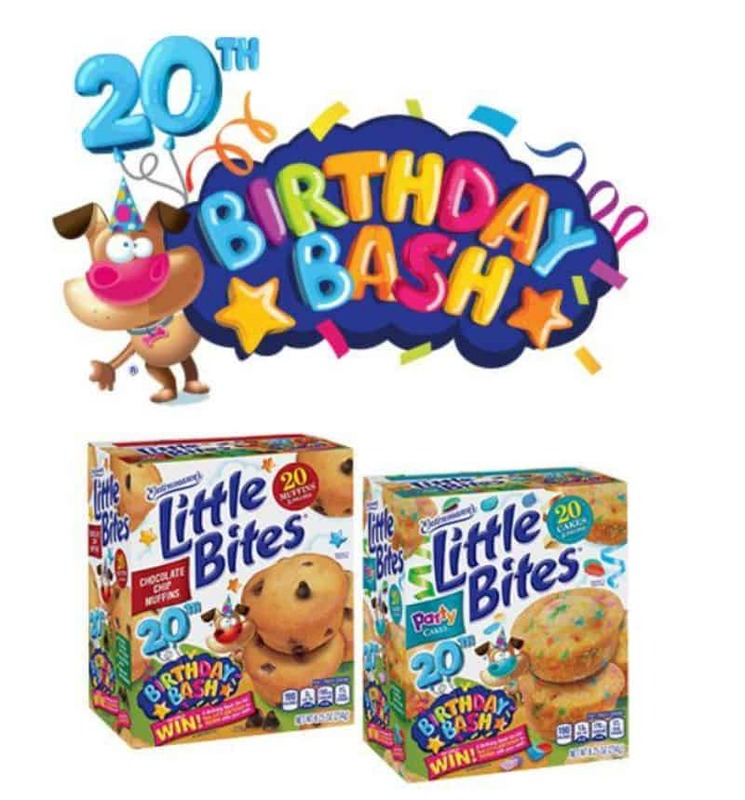 To celebrate and really ring in its big 2-0, everyone’s favorite mini muffin brand is running the Entenmann’s® Little Bites® 20th Birthday Bash Sweepstakes! Entenmann’s Little Bites Prize Pack! Includes a $25 Visa digital gift card and (3) coupons for $5.00 off the purchase of any Entenmann’s® Little Bites®. I like the Blueberry muffins for breakfast. The chocolate chip muffins are my favorite! I love the delicious crumb cake. My favorite flavor is blueberry!! Yum!! I like the blueberry ones! Yum! My favorite is the birthday cake flavor. I would eat any of them though! Their Brownie Bites have always been my favorite! They are so yummy! My favorite Little Bites is the Blueberry muffins. My favorite would probably be Blueberry! Blueberry is my favorite. Yummy! My favorite is the blueberry. Chocolate Chip is my favorite but I really want to try their new Churro ones! I like Entenmann’s brownie bites. I love the blueberry. Thank you! I love the Little Bites Party Cake muffins. 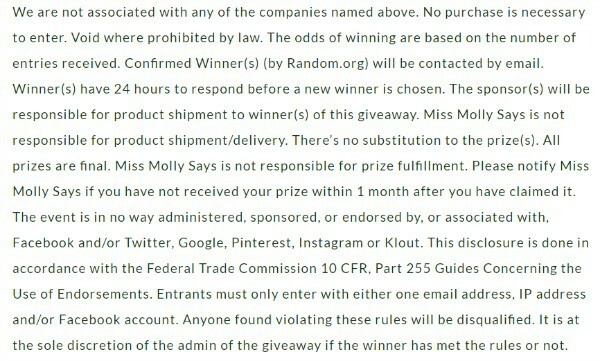 Thanks for the fabulous giveaway! My favorite are the blueberry. I love the party cake little bites. I love the Chocolate Chip Little Bites. They are so good warmed up in the microwave! Blueberry is my favorite Entenmann’s Little Bites. My favorite are the Little Bite Crumb Cakes. I love them all but my favorite are the brownies. My favorite flavor of Little Bites is the Strawberry yogurt muffins. I love me son blueberry muffins. blueberry are my favorite little bites! My favorite flavor of LIttle Bites is blueberry. Strawberry Yogurt Muffins are the best! The Snickerdoodle muffins are great! Churro the newest product flavor is now our FAVE !!!!!!!!!!! My favorite are the chocolate chips but they are all delicious. My favorite flavor of Entenmann’s Little Bites is strawberry yogurt. My family likes the brownie bites and banana muffins. I prefer the classics in most cases. The blueberry is my favorite flavor. Thanks for the chance! I like the chocolate chip muffins best. For me, Brownie Bites are the best. Birthday bash flavor looks great — I’m a sucker for sprinkles! I like the birthday cake flavor. I’m [partial to the chocolate chip muffins. Our kids favorite are the Entenmann’s Little Bites – Blueberry. My favorite flavor of Entenmann’s Little Bites is blueberry. I love the snickerdoodle flavor the best.